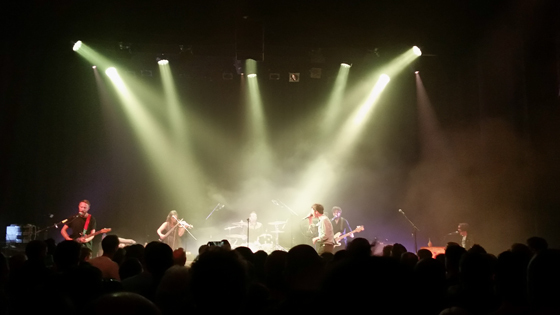 Monday was our second show from the reactivated Idlewild this year (with a third to follow for MPK2’s birthday in November) and it did nothing to dispel the notion that the band have been re-energised by their break. If anything it was a better show than the O2 ABC show earlier in the year perhaps because the setlist seemed to have more of a flow to it despite the fact that 90% of the set was the same as in March. The changes were minimal – a handful of tracks from the new LP dropped out to be replaced by a different song from the new record and a very old one. 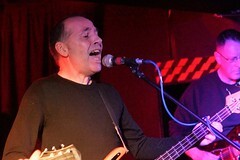 The consequence was a slightly shorter set but certainly not so much so that Roddy needed to apologise for the curfew so often. What’s clear is that a number of the songs have been rearranged from days of yore. Most dramatic is the kraut/metal reworking of ‘Roseability’ – the familiar drum intro remains but what follows messes with your expectations. Both ‘A Film for the Future’ and ‘Captain’ retain their places in the starting line-up (hurray!) but it’s clearer that ‘Film’ has been retooled to suit the new line-up with an eerie edge lent by the violin. ‘I Understand It’ was rocked up a fair from the recorded version but first encore ‘When I Argue I See Shapes’ takes a different tack, dropping the revs significantly. 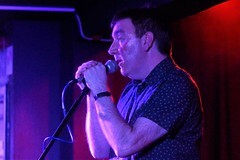 Roddy’s ‘we play it slower because we’re older’ comment was quickly disproven by the following song – an absolutely ferocious take on ‘A Modern Way of Letting Go’. ‘(Use It) If You Can Use It’ remains the centre-piece of the set, very much Rod’s showcase although Andrew Mitchell got his share of the spotlight on that one too. 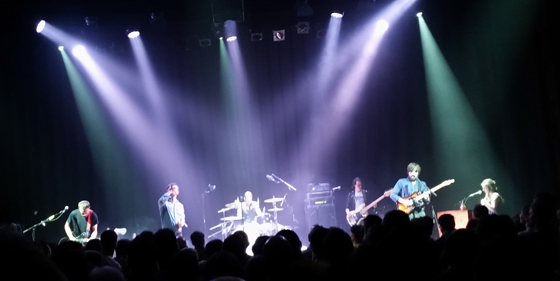 Otherwise, given what they didn’t play, the show was a fine demonstration of what a great back catalogue they have. And we still haven’t see them play my favourite song from the new record – ‘On Another Planet’. Maybe in Perth in November. Support came from hotly tipped Fat Cat signing C Duncan. Having missed him starting I confess I was non-plussed by the first couple of tunes we heard. 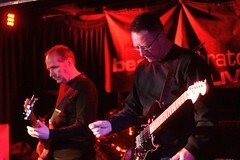 Certainly the vocals were very much to the fore in a boomy, bass heavy mix with the keyboards and guitar barely audible. But things picked up with a bit of a Chills vibe on ‘For’ and after that songs like ‘Garden’ were more than enough to persuade me to get the album. It was my first time in the Assembly Rooms for a gig and it’s a lovely room. Certainly the sound for the headliners was fine and there’s also good sightlines from the floor. I hope it does start to get used more often for shows as it would prove a reasonable, indeed upmarket, replacement for the Picturehouse. Idlewild have dates in Japan and the U.S.A in September/October before returning for a short Scottish tour in November. C Duncan’s debut album ‘Architect’ is available through FatCat Records. PS The Assembly Rooms need to sort out their advertising of their stage times -we turned up at 7.50 expecting an 8 p.m. start. PPS In this day and age of mobile phones the ‘No photography/filming’ restriction is laughable!